A month or two ago I was asked to design a fundraiser logo for Seven Generations Ahead, a local non-profit group whose mission is “to promote the development of ecologically sustainable and healthy communities…SGA advocates for local community solutions to global environmental issues, and promotes clean, renewable energy; eco-effective materials and products; intelligent, sustainable building design; local, sustainable food; zero waste; and strategies designed to create ecologically effective communities.” There’s a lot of talk about environmental sustainability these days, but it’s very cool to see people actually putting those ideas into action. If you live in the Chicagoland area you might have attended one of Seven Generations Ahead’s annual fundraisers, The Oak Park Microbrew Review, where for the price of admission you get to sample from craft breweries from all over the country. As a huge lover of craft beers (I can’t pass up a good stout! ), I can’t believe I haven’t been able to make it to this event yet. I do know several people who have attended (including my boyfriend!) and had good things to say about it. 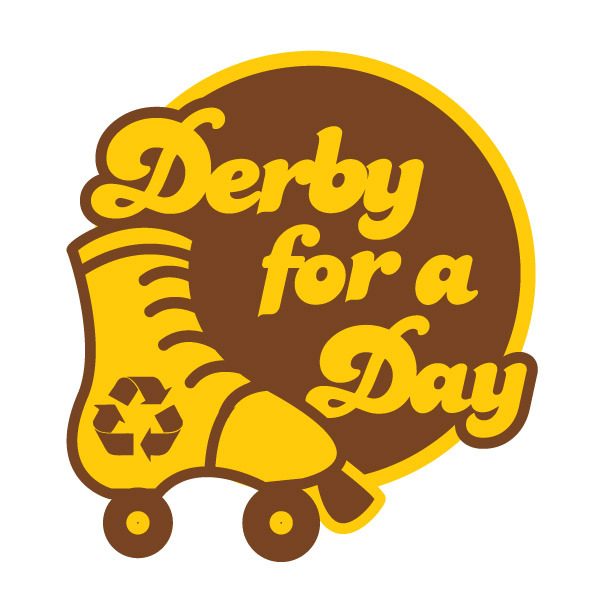 One of their fundraisers this year is a skate-a-thon that they’re calling Derby for a Day. Participants join a team, collect pledges, and skate for as long as they can on February 26th. You don’t even need your own skates, because your $10 registration fee includes skate rental.